The French president has invited Donald Trump to Disneyland Paris so he can "understand what France is". Francois Hollande made the offer while visiting the theme park for its 25th anniversary after the US president insulted the City of Light. Trump's had said that a friend of his named Jim no longer came to the French capital as "Paris is no longer Paris". But while visiting the theme park, Hollande said: "I may send a special ticket to one of them, so that he at least comes to Euro Disney and understands what France is." It comes after the city's mayor Anne Hidalgo also used Disney to push back against Trump's comments. 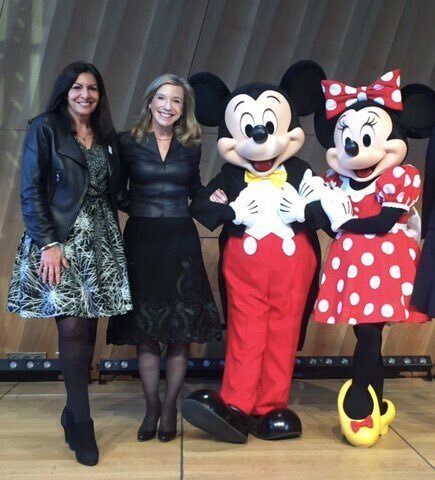 Hidalgo tweeted a photo of herself alongside Mickey and Minnie Mouse with the billionaire's Twitter handle. She said: "To Donald and his friend Jim, from the Eiffel Tower, we're celebrating the attractiveness of Paris with Mickey and Minnie."